The Chicago Bears (3-1), which has one of the best defenses in the league, visit the Miami Dolphins (3-2) today at 1 p.m. E.T. 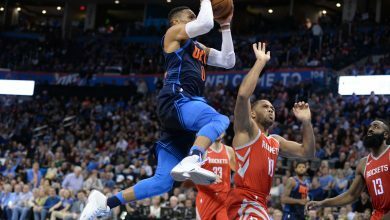 Chicago is allowing just 16.3 PPG, while they’re scoring 27.8 PPG. After losing their first two games, each by one point, the Bears have won three-straight. 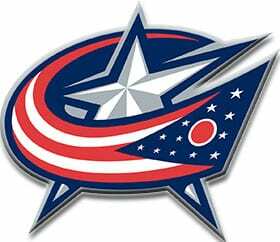 Their last victory was 48-10 versus Tampa Bay. 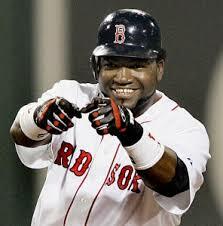 Thus far, Miami’s season has been the reverse of the Bear’s. The Fins won their first three and then lost their last two to New England and Cincinnati. 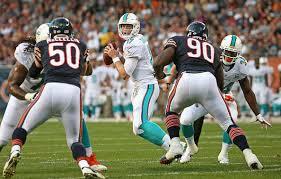 Our Week Six NFL Bears play Dolphins pick offers Chicago at -6.0 and the over/under at -41.5. LB Khalil Mack is a stalwart on defense. He’s nailed five sacks, has forced four fumbles, and made 17 tackles. Mack also has one pick and two passes defended. Corner Eddie Jackson has grabbed two interceptions, defended three passes, and one forced fumble. LB Danny Trevathan tops the club with 24 tackles. Plus, he’s scored two sacks, one INT, and one FF. QB Ryan Tannehill has struggled, passing for eight TDs while tossing five INTs. 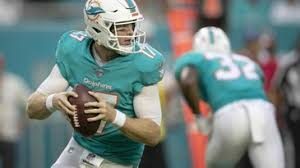 Over the first three games, Tannehill completed 72.5% of his passes. In the last two, he’s completed 56% of his passes, tossing just one TD pass while putting up three picks. A few weeks ago, we might say that Miami had the edge when it came to QBs. But, as noted, Tannehill has seen his numbers drop and Chicago signal-caller Mitchell Trubisky has been finding his way. Tannehill ‘s top receiver, Kenny Stills, has three TD catches in his first three games. In his last two contests, Stills has not had a TD grab. 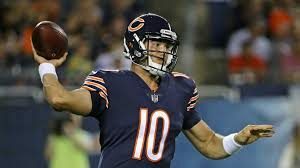 Of his eight TD passes, Trubisky tossed six last week against Tampa Bay. He’s been completing 71% of his passes. Trubisky has thrown three INTs. His eight TD passes have been to four different receivers. At this point, Trubisky is the hotter of the two by a mile. On defense for Chicago Mack is an essential part of the defense. Also on defense, Trevathan is the power generator for the Bears.On offense, Fin’s running back Frank Gore is averaging 4.3 YPA. If he can move the ball, that may take some pressure off of Tannehill. That may give him a bit more time to find his receiver. One player to watch on defense for Miami is LB Kiko Alonson. Alonson has made 50 tackles, two INTs, and two FF. If he can have a solid game, the Dolphins will have a chance to succeed. Also on defense, Davon Godchaux, who has four TFL, could influence the outcome of this contest. 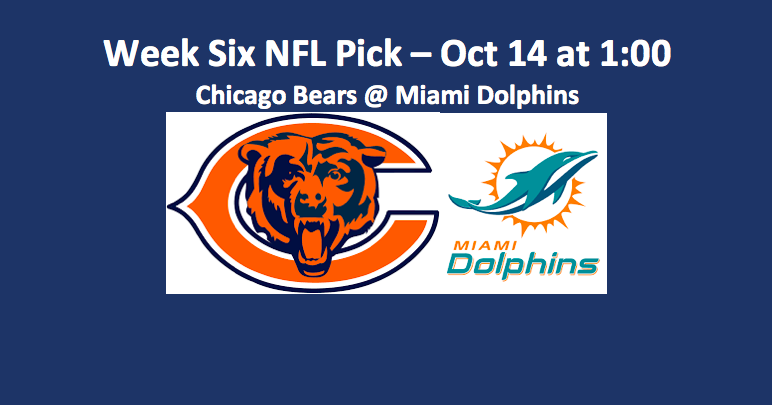 Our Week Six NFL Bears play Dolphins pick sees this as a game between a team that’s recently found itself on defense and offense, and one that is struggling on both sides of the ball. We’re going with the Bears at -6.0.